After reading literally hundreds of business and innovation books over the years (I know – get a life), people regularly ask me which ones have had the most impact. What are the must read new product books? 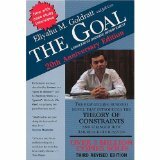 This is the book that introduced the world to Goldratt’s Theory of Constraints over 20 years ago. It’s a love it or hate it kind of book: mostly because it’s written in a novel format rather than a traditional business book format. However, “The Goal” has sold over 5 million copies worldwide making it one of the best selling business books of all time. After being published in Japan a few years ago became a bestseller there in almost no time. While Goldratt and TOC don’t address innovation specifically, “The Goal” is a “must-have” if you want to learn how to focus your improvement efforts. 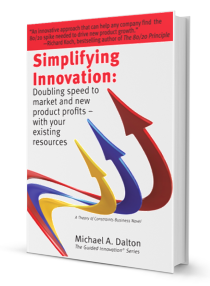 If you’re interested in application of TOC to innovation, take a look at my new book, Simplifying Innovation, or download one of our free reports for accelerating your product development. The reason focus is so powerful. Over 100 years ago, Vilfredo Pareto identified a peculiar phenomenon in the distribution of results; 20% of the effort delivers 80% of the results. The term 80/20 gets thrown around pretty loosely, but when used as a filter to identify and then focus on the high impact items it provides significant leverage. Richard Koch’s book is a must-read for anyone trying to get more from their existing resources: shows how to apply 80/20 and gives many practical applications. Note – 80/20 and Theory of Constraints are both focusing tools but differ in an important way. 80/20 creates a focus on the best among independent choices – such as the different projects you could work on or markets you could serve. TOC creates a focus on eliminating the bottleneck constraining a chain of dependent activities – such as the steps in your innovation process or the steps in a project plan. A treasure chest of common sense strategies for any industrial or business-to-business firm trying to grow organically. Dr. Hlavacek’s Market Driven Management approach has made a huge impact at scores of companies and he has the client list and success stories to back it up. I’ve had the pleasure of working extensively with Dr. Hlavacek, and consider him one of my most influential mentors: A highly recommended book for any marketing library. The book on disruptive innovation. “The Innovator’s Solution” and its predecessor,”The Innovator’s Dilemma,” made the term disruptive innovation a bit of a buzzword. We’ll forgive them for that because there are some extremely useful frameworks here that can help predict a new product’s chances for success: very helpful for assessing new product and new technology programs. Hands down, the most practical hands on guide to creating and managing Open Innovation. It wasn’t called Open Innovation when Slowinski and Sagal published this book, but Dr. Sagal’s Alliance Framework is a simple, yet brilliant, approach born of decades of managing highly complex technology and marketing alliances. A very useful little primer on how to get maximum impact from a limited number of customer visits. And we’re not talking about sales calls here, but structured customer interviews to find unmet needs. If you’re company is one of the many that have struggled to implement voice of the customer, Ulwick hits on a primary reason. Voice of the customer provides data in the customer’s language, which is usually structured around what they want; you have to try to translate that into what they need, and we all know that translation is where it sometimes ends badly. His approach is a simple structured question format based on the things the customer either wants to maximize (e.g. time between maintenance intervals) or minimize (e.g. high-speed fuel consumption). The preeminent text on applying the Theory of Constraints thinking processes. TOC teaches that contradictions are the result of incorrect assumptions. Dettmer’s book is an invaluable resource for anyone that wants to learn how to use the the powerful TOC thinking tools for getting to the root of these false assumptions and the contradictions they create. No- it’s not another sequel to the goal, and No – this one isn’t a novel. But it is a comprehensive overview of how you can apply TOC to improving a services business. Step by step, an IBM Consulting engineer, walks you through the application of TOC across all the functions of a services business. A brief, easy to read overview of what’s required to start a new business venture successfully. None of the usual stuff on legal formation or organizational structure. But a very entertaining read on how to pitch new business ventures and raise financing. Also applies to pitching new customers and even internal projects. A brief leadership fable about how an extraordinary leader creates clarity and focus in his company. A great little book that helps you move from the analytic side of focus, to the people side of making it all work. Yes, like “The Goal,” it’s a story, but it also has a very useful section at the end that summarizes the concepts and gives advice on putting them into action. If you have done everything possible to get the most out of your constraint, raising the capabilities of your staff is an important next step. Smart provides a practical framework for determining if employees are capable of being top talent in their current roles, for developing their potential if they can, or if they can’t then moving them to a role where they can. Also provides an in-depth hiring process for getting to candidates real motivations and traits. If you have done everything possible to get the most out of your constraint, raising the capabilities of your staff is an important next step. Volumes of Gallup research shows that people are more satisfied and productive when they are in a job that allows them to use a high percentage of their strengths. “Now Discover Your Strengths” provides an on-line tool for understanding your key strengths. Very useful tool when used in a top-grading organization. “Go Put Your Strengths to Work” is a useful follow on guide for employees struggling with how to work to their strengths. Of course this one had to be on the list. 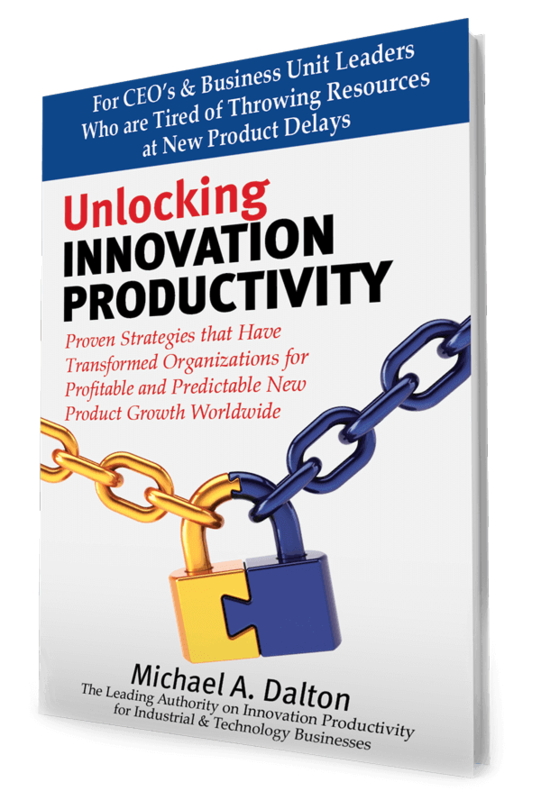 This provocative business novel outlines a unique framework for driving your new product growth with the Theory of Constraints. If you’re not a fan of the learning through story format that Goldratt pioneered in The Goal, it also includes a complete summary on how to apply the framework in your business.